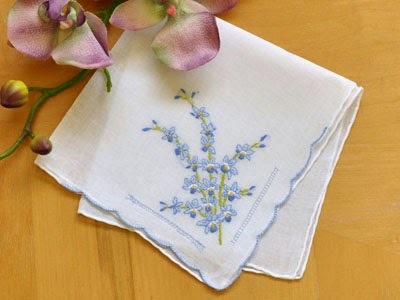 Homespun Stitchworks..... For the love of vintage: The language of flowers. I am looking at meanings of flowers for a project that I am designing. All flowers have a meaning and I want what I am doing to be beautiful and serene so before I embroider any or indeed decide on what ones to embroider I bought a book on flower meanings.. Here are some examples for you to ponder over! Crab apple blossom .... ill-tempered! And so it goes on. So I am choosing very carefully which flowers that will embroider on my project. So wish me luck on my choices. 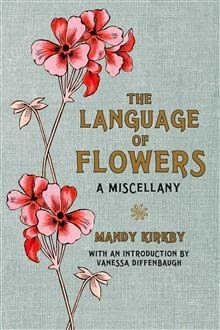 The book that I have bought is actually called The language of flowers and it is written by Mandy Kirby. It is a very lovely book and has little poems inside as well for some of the flowers. Hope's gentle gem, the sweet forget me not. So I am away to my stitchery room to research which flowers I would like to stitch but won't because of the meaning!